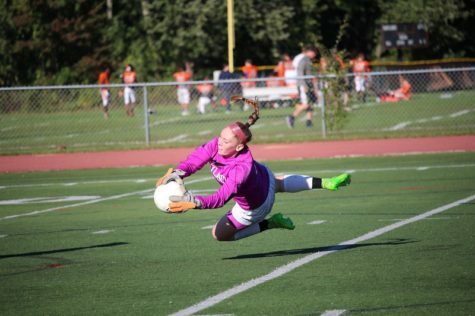 Sophomore goalie Sophia Goldstein makes a diving save in the girls' varsity soccer game against Boston Latin School. 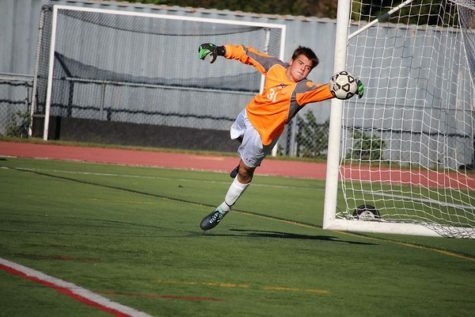 Junior goalie Nick Smith dives for the ball in the boys' varsity soccer game against Waltham. 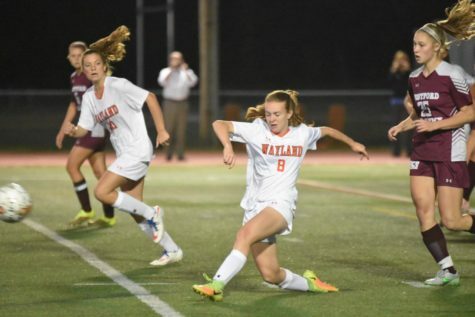 Sophomore Kayla Poulsen kicks the ball during the girls' varsity soccer game against Westford Academy on Wednesday. 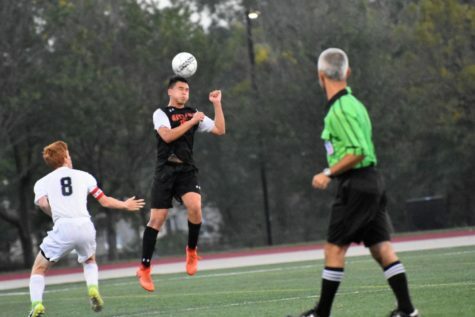 Junior Jake Tyska heads the ball in the boys' soccer game against Cambridge Rindge and Latin School on September 16. 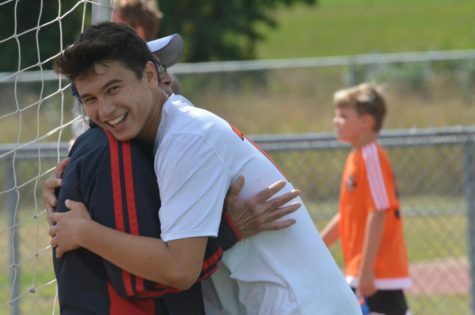 Junior Jake Tyska hugs his grandfather after defeating Snowden International 8-0.